Chloe Harris recorded video of the incident at Dover High School, saying she was uncomfortable with the lyrics that used phrases like "Let's kill all the blacks." A teacher in Dover, New Hampshire has been suspended after a video began circulating online showing students singing a song set to "Jingle Bells" with lyrics including, "KKK, KKK, let's kill all the blacks." The assignment, in an 11th grade U.S. history class, was to change the lyrics to a Christmas jingle to tell a story about Reconstruction, the period after the Civil War. Two of the students in the class chose the KKK as their topic and altered the lyrics to "Jingle Bells," using phrases like grand wizards and burning crosses. In addition to the lyrics about the KKK, the song includes another line saying, "White masks on our heads, blood beneath our feet, laughing till they're dead -- ha, ha, ha." "I went to the teacher," said Chloe Harris, a student in the class who recorded video of the incident. "I said I'm not really comfortable with these lyrics. I don't know why they need to sing it. I don't know why they need to present it in such an insensitive way." Harris said she recorded the incident because she wasn't sure anyone would believe what happened. 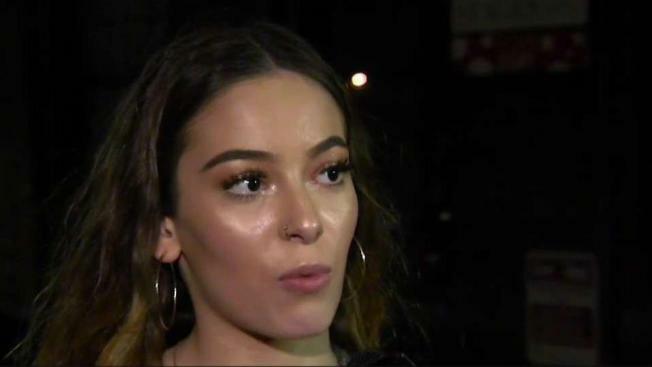 "Thought if I don't record this, this is going to be the only evidence that I have that this happened," said the 16-year-old, who spoke to NBC10 Boston with permission from her mother. Harris, who is biracial, says she was stunned by what the two boys came up with for their project. As the students recited the song, classmates can be heard laughing in the background. "When everyone was laughing I got really frustrated," said Harris. "I was like, 'Why are you guys laughing at this?' So I had to walk out of class. I'm disgusted by this." School Superintendent William Harbron sent a letter to the school community on Monday saying they are working with students and teachers to investigate the incident. His message was also shared on the district's Facebook page. The school district called the incident "harmful" and one of "extreme racial insensitivity." "What we're trying to do is figure out what is in this video that's a viable lesson for our entire school community," Harbron told NBC10 Boston. "We are deeply concerned that an event such as this could occur and understand the emotion and concern that this event will create for our students, families and staff," he said in his letter. "Administration from Dover High School and the District are working with students and the school community to respond immediately and effectively to this racial insensitivity." Harbron's letter said families and school community members will be updated as they "create opportunities to come together and discuss, process, and plan as a community" to address both the immediate situation and long-term implications of racial insensitivity and bias. Some commenters on the school district's Facebook page said the song was far worse than just "racial insensitivity." "There was nothing 'implicit' about it," said one person. "This was an overt show of racism." "I saw the video before it was taken down and why the teacher didn't stop it once they started singing it is beyond me," said another person. Chloe and her family fault the teacher more than the students. "I think it was not well thought out by the boys," said Chloe's mom, Robyn. "But I think they were doing the assignment given to them by their teacher." The teacher has been suspended with pay while the entire incident is being investigated by the school district. School officials will not say if the two students who sang the song will be disciplined.